A big, lush lawn used to be a leading symbol of a thriving American home, but for many, it's no longer a top choice for front and back yards. Even if you like the look, your yard may be shady, hilly, rocky, or otherwise hard to maintain with grass. Or you may be discouraged by how much time and energy it takes to upkeep a lawn, including aeration, regular mowing, and raking. Not to mention the financial cost and the ecological impact of watering in times of drought. Whatever your reason is for "staying off the grass," rest assured that there are many excellent lawn alternatives to consider, both easy-maintenance plants and attractive non-plant options. The term "groundcover" means just what it sounds like: low, spreading plants that cover the grounds around your home. These are plants that won't grow tall in the best of times, so trimming and mowing simply aren't requirements. You select a type of groundcover you like, taking into account the texture, density, and ornamental value, as well as the climate, hardiness zone, and exposure of your area. Then you install the plants, nurture them until they are established, and then let them be. Healthy, mature groundcover plants usually don't need much help to grow strong, spread wide, and choke out weeds. Some even act as mulch and enhance the soil. Groundcover isn't one-size-fits-all. Appropriate plants come in many types and styles, so you won't be short of options. Most groundcover plants are perennial evergreens, providing long-term good looks. But, depending on your needs, you can choose an annual groundcover. You'll need to put in yard work every spring to keep the project going. Many varieties of groundcover are available, including flowering options that offer color, attract pollinators, and change the look of your yard with the passing seasons. 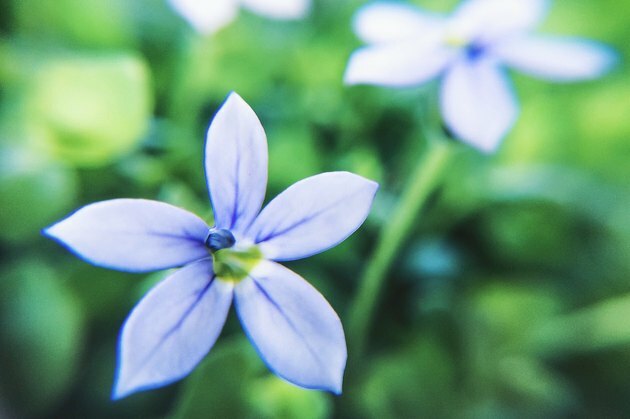 One to try: blue star creeper (Isotoma fluviatillis) that grows fast, produces starry lilac blossoms and creates a 3-inch-high floral carpet. Heavy foot traffic is not a problem for this lovely groundcover that grows best in U.S. Department of Agriculture plant hardiness zones 5 through 9. Ornamental grasses are altogether different than the various types of turf grass usually used for a lawn. Ornamental grasses develop into distinctive and sometimes dramatic shapes. For these grasses, mowing is not required or even encouraged. 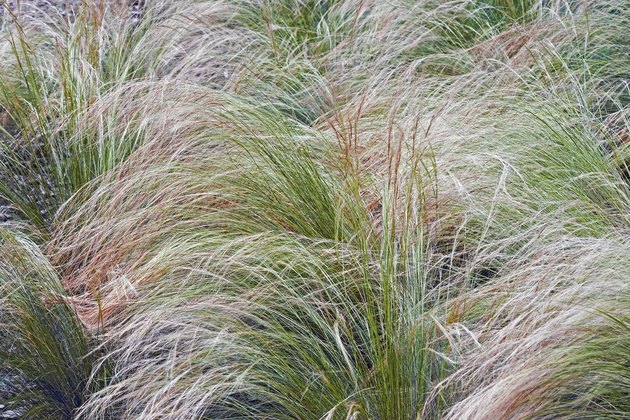 Instead of pushing that mower across a field on Sunday morning, gardeners who use ornamental grasses for groundcover can sit back and enjoy the tufts, sprays, stands, and/or shimmering sweeps of their ornamental grasses. Most ornamental grasses stand upright and produce tight, well-defined bunches. They are low maintenance, cold hardy, and not very picky about soil. Fertilizer? No need. Insect or disease issues? Very rare. These grasses resist drought and require little irrigation. A few to consider: low and lovely blue grama grass (Helictotrichon sempervirens) with wide, spiky steel-blue leaf blades that form spiky clumps. Or how about delicate, silky Mexican feather grass (Nassella tenuissima). It's native to North America and billows beautifully in the breeze. If your decision to find a lawn alternative is based on your yard's lack of sun, you'll want to select a groundcover that works with what you have. Almost all types of grass used in traditional lawns require full sun or partial sun. But all is not lost if you know what to use as groundcover in backyard shade. Moss is a great place to start when you are considering attractive groundcover for shade, especially if you live in a cool area. You can walk on moss, have picnics on moss, or even set up a barbeque. Now make no mistake, most mosses aren't quite as resilient as grass, so no volleyball games. But they do very well with some foot traffic. Put in a moss bed by planting moss plugs — morsels of moss with roots and all — every six inches. If you keep the plugs moist, within one growing season your moss can spread into a solid carpet of green, providing insulation as well as accommodating moisture run off. You can select a moss type based on personal preference, since they come in a variety of textures and thickness. But if your shady grounds get even a little light, you can also go with creeping Charlie (Glechoma hederacea). Yes, many consider this mint family member a weed, but, planted in the shade, it doesn't spread as aggressively and makes a lovely, thick ground cover. You'll get small blue flowers in season plus deep green foliage. This groundcover requires no mowing, fertilizing, or watering, but be sure to surround it with an impermeable border to keep it out of the rest of your garden. Other shade-thriving perennials you can try as groundcover include snow-on-the-mountain (Aegopodium podagraria 'Variegata'), a variegated foliage plant that grows to 10 inches tall in full shade, Lily of the Valley (Convallaria majus) with tiny white flowers and a big fragrance, and sweet woodruff (Galium odoratum), a sweet smelling, well mannered little herb plant. All three of these plants grow fast and create a dense cover, choking out the weeds with their carpet of foliage and flowers. Another undemanding alternative to a needy turf-grass lawn is a natural meadow or prairie. Meadows and prairies at home, like those in the wild, don't need much irrigation or maintenance. And they make glorious groundcover. If you tour the country, you'll find a wide variety of grassland plant communities that have adapted to and thrive in varying regions and climates. At home you can mix native grasses with wildflowers to create a magical backyard. What to use? Pick native plants and grasses that grow in open fields in your area or are suited to the terrain and climate. In California, poppies are particularly lovely blended in with native grasses, but each locale has natives perfect for a prairie or meadow planting. In the East, butterfly weed <ahref="https: www.americanmeadows.com="" perennials="" milkweed="" butterfly-weed"=""> </ahref="https:>(Asclepias tuberosa) is a popular meadow plant. Its stays low, accented by vibrant orange flowers in midsummer. For any of the meadow landscapes, you'll need to start with a rich topsoil and finish with mulch. Since you are working in partnership with nature, the end result will be easier on the planet and virtually maintenance free. All plants take some work, even those perfect for low-maintenance groundcovers. 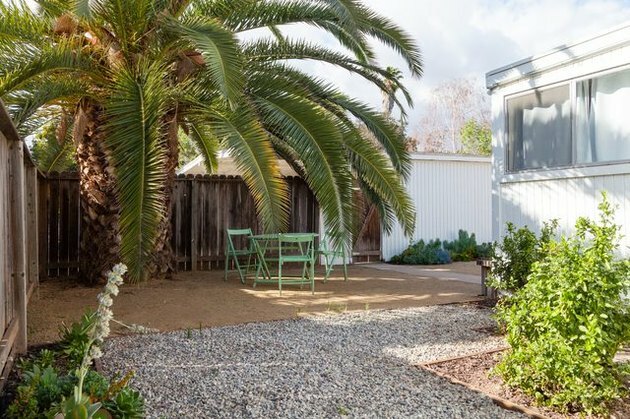 Sometimes a gardener is just tired of outdoor chores and decides to reduce the living landscape in a backyard to limit yard maintenance. If this sounds like you, you can still do something absolutely eye-catching using non-living materials. 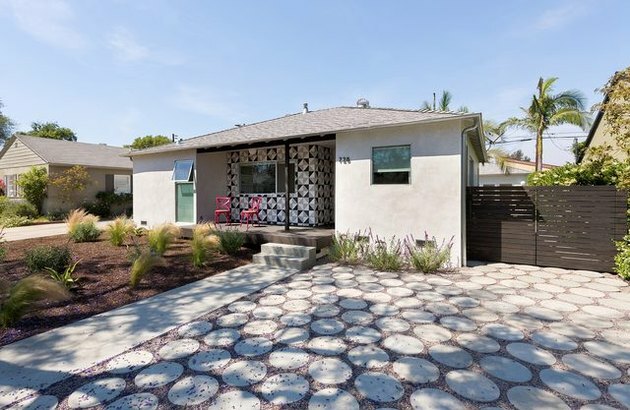 This is sometimes called hardscaping. One good bet for filling a lawn space is installing a pond or water feature in the area. Nothing is more beautiful than light on water, and the reflections of backyard trees adds mystery and magic. If you opt for a fountain or waterfall, the sound adds to the serenity and delight. 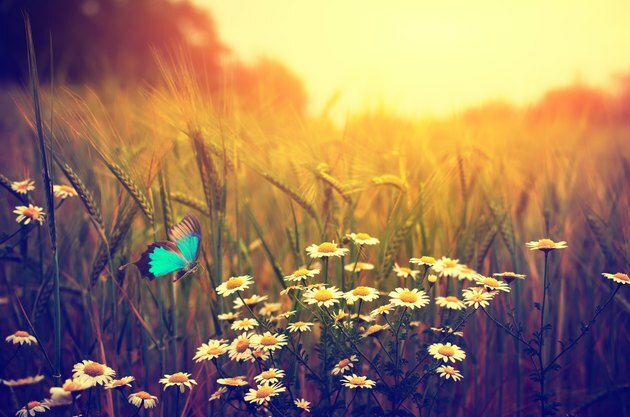 Water can also attract butterflies, birds, and beneficial wildlife as well. Hardscaping also includes any construction in your backyard of wood, stone, tile, or brick for paths and walkways, or a large patio or deck. You can also use mulches like pebbles or chipped bark to create paths or open spaces while stopping weed growth. Mixing hardscape with other groundcover allows you to create a custom look, incorporating your favorite elements of organic and inorganic groundcovers. For example, making paver walkways through living groundcover grasses can be a good option, or installing a pond into a meadow groundcover area. Wide pathways banked by large container plants or even fruit trees allows for a green, growing atmosphere without any lawn mowing.